Sherbert marijuana strain is an 85/15 Indica dominant hybrid. The herb is perfect for inexperienced users, as THC levels range between 14-19%. Sherbert marijuana has some medical potential with 1% CBD under its belt. These marijuana plants grow huge, tree-shaped buds with a forest of crystal trichomes and orange hairs. 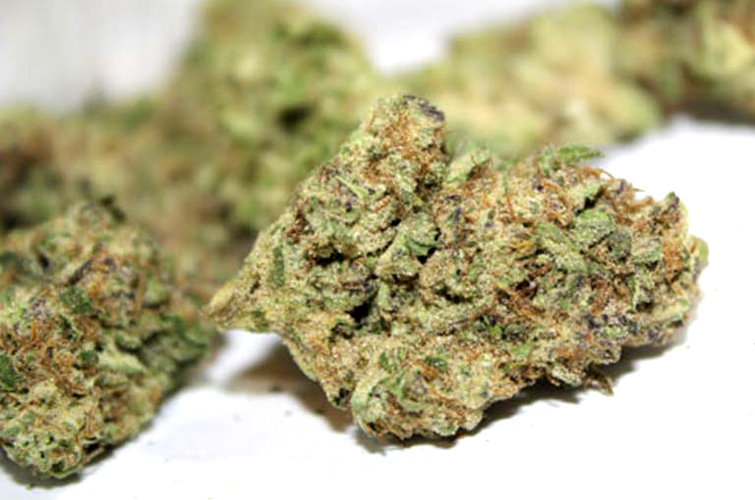 Staying true to the name, Sherbert is delicious to smoke, tasting of ice cream and sweet nuts. The kush is good for evening and night time use. Sherbert marijuana induces strong cerebral buzz. Relieves anxiety and depression by energizing the mind. Improves focus and boosts creativity. Followed by deep sedation and couch-lock. Promotes laziness and sleep, helps with pain and insomnia.